Some folks are all about Pinterest, I get it, I really do, but for some reason, I just can't really get into it. What I love is Instagram. I use it more than any other social medial. Insagram is what most of my phone's battery life goes on. I adore the community feel on there. I feel like I've made real friends. I've discovered so many cool creative people and brands on there.. and that's what I want to celebrate here! I get a lot of inspiration from Instagram, or, as I like to call it, Instaspiration! I thought I'd start to share my findings on here on a more regular basis so I shall aim to write once a week about some brands and Instagram accounts I love! Today I am going to tell you about 4 different accounts. 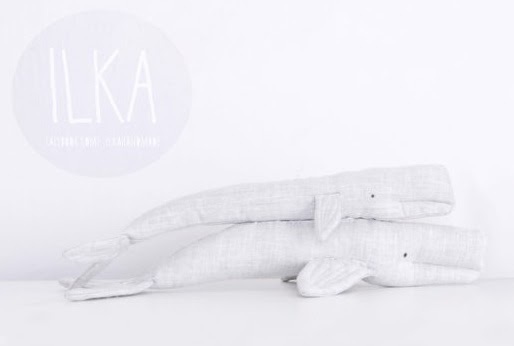 First up is Ilka Handmade run by Vanessa Byrne. Her Instagram account is @Vanessa_Byrne. Vanessa makes the most stunningly beautiful items. Once you follow her, you won't regret it, though your purse may be lighter! 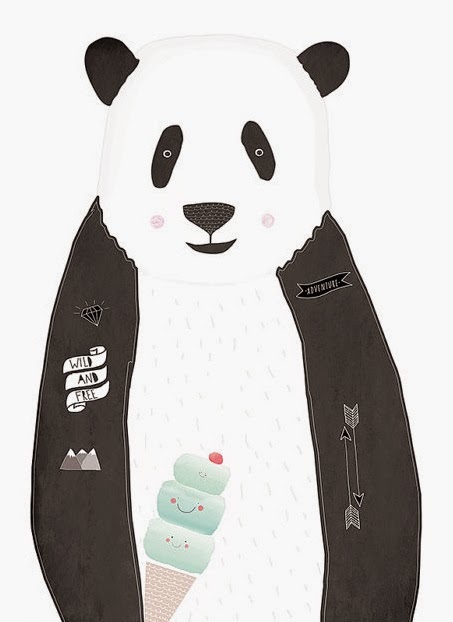 Visit her Etsy store and you will find the most adorable illustrations and incredible sewn delights. You have to check her out! Secondly, I want to tell you about a brand I discovered very recently, Scarf Angel. Scarf Angel (@scarfangel) is a family run scarf business focusing on handmade infinity and long scarves. Based in Turkey but posting worldwide. "My name is Duygu and I am from a Turkish town just outside of Istanbul, Turkey. I’ve been designing and creating my own scarves for all seasons for years now and I’m happy to share my designs with you. I created this shop out of my love for scarves. No matter the season, I always seem to find a fashionable scarf to keep me warm in the winter along with a cool look in the summer. My products are unique in that I handpick all the fabric and design the scarves myself. My scarves are truly one-of-a-kind. You can rest assured that your item is hand made in a smoke/pet free home to reduce stinky odors and allergies. Additionally, all scarves are designed, made in and shipped from Turkey. Whether you’re looking for a warm flannel scarf, a high quality wool scarf or a modern cotton scarf, I can make it happen for you. 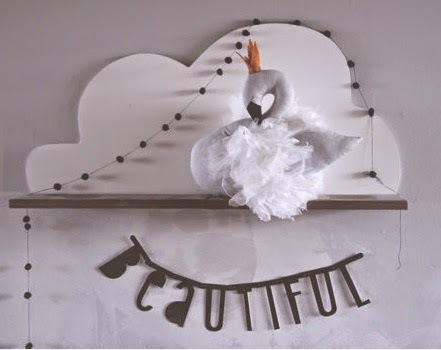 Have a look at my shop and feel free to contact me with any questions or for custom orders." Personally, I want one of her sloth prints scarves but I can see myself ordering many more. I think they will make fantastic affordable gifts too! Thirdly, I'd like to feature Bowties & Candyfloss. 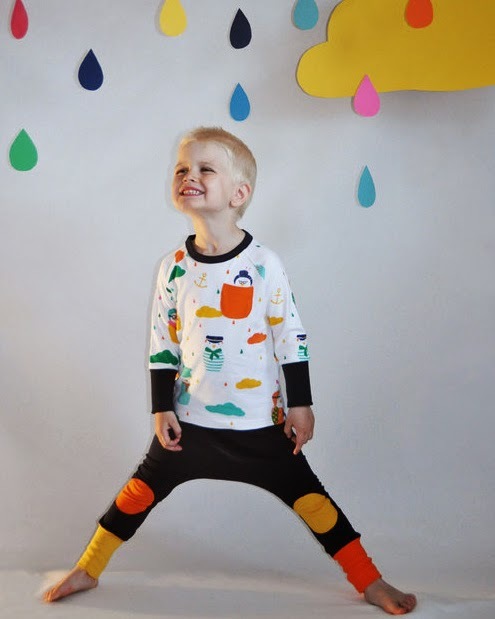 I get really excited when I find an up and coming children's clothing brand. I think Bows & Candy are heading for the big time and it's fun thinking I might be watching the start of that! 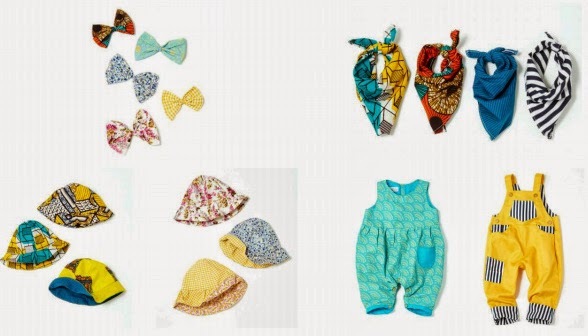 At the moment, Alex, who created Bowties & Candyfloss only stocks clothing for 0-12 month olds but she is planning on expanding that which is great news for me because I love her concept and fabric choices but obviously Felix is heading towards two now! However, she has told me that custom orders can be made! You can find Bowties & Candyfloss on Instagram @bowsandcandy. Well, that concludes today's Instaspiration! Don't worry, I have plenty more I want to share another day! Monochrome is such a huge trend. It started a couple of years ago and it doesn't seem to be going away but going from strength to strength! At least in our house anyway. I love it. I still love all colours, don't worry about that. Our house and our clothes are still bright and bold.. but I just love the contrast you get with black and white, especially when teamed with other bold colours like mustard yellow or a sunny orange. Or even a bright green. Ohhhhhhh.... I love it!! Ironically Love Is In The Air is playing on the radio as I write this... ha! I love it when I find a brand that shares my monochrome madness.. even more so when it's a small UK brand. This is the case when it comes to Baby Bandits. I first discovered them on Instagram when they were getting ready to launch their brand. I don't think they've even been "live" for a year yet!! They are doing fantastically though. Already a huge fan base on Instagram with a following of over 4K. Their clothing range is gender neutral (hurrah!) 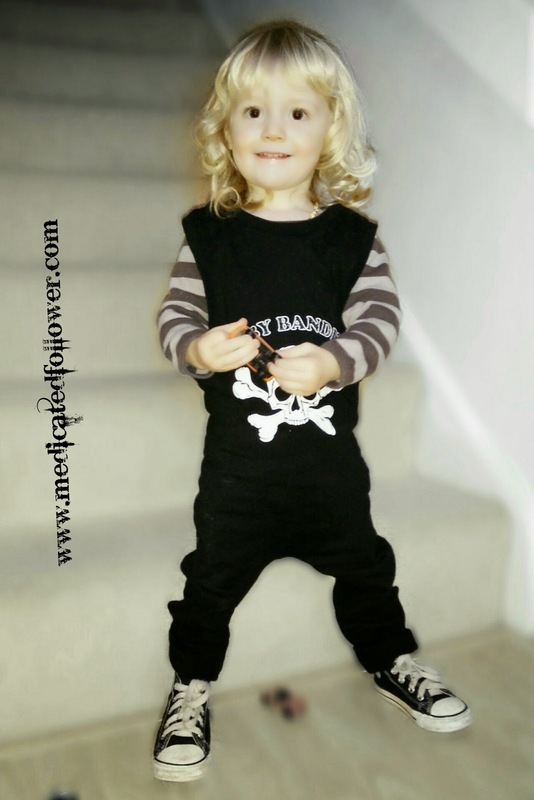 and "focuses on blacks and whites with a skull and crossbones logo being featured on many of the products making it slightly edgy and different from the majority of children’s clothing currently available in high street stores.". Admittedly it probably isn't to everyones taste, but I love it. More importantly, so do my boys. 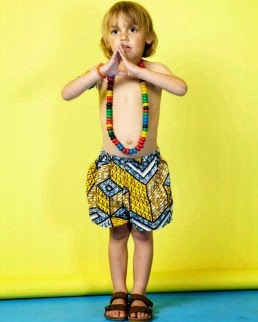 I ordered one of their sleevless rompers in age 2-4. What's really fantastic is that if I roll the legs up Felix can wear it and if I roll them down again, Ethan (who's 5) can fit into it. Bargain!! We're going to get years of wear out of this! The romper looks awesome with nothing underneath so will be fantastic for spring and summer. However, it also looks great with tops underneath. You can layer it up with jackets and hoodies too! 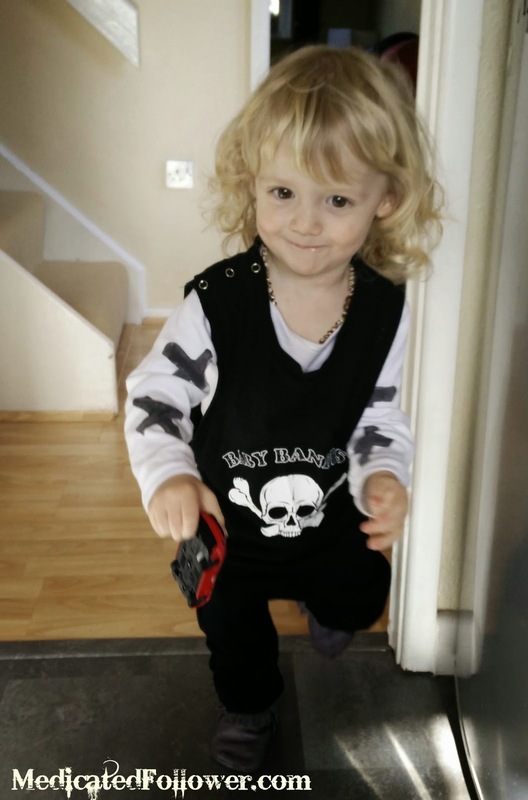 Well done Baby Bandits - we love you! 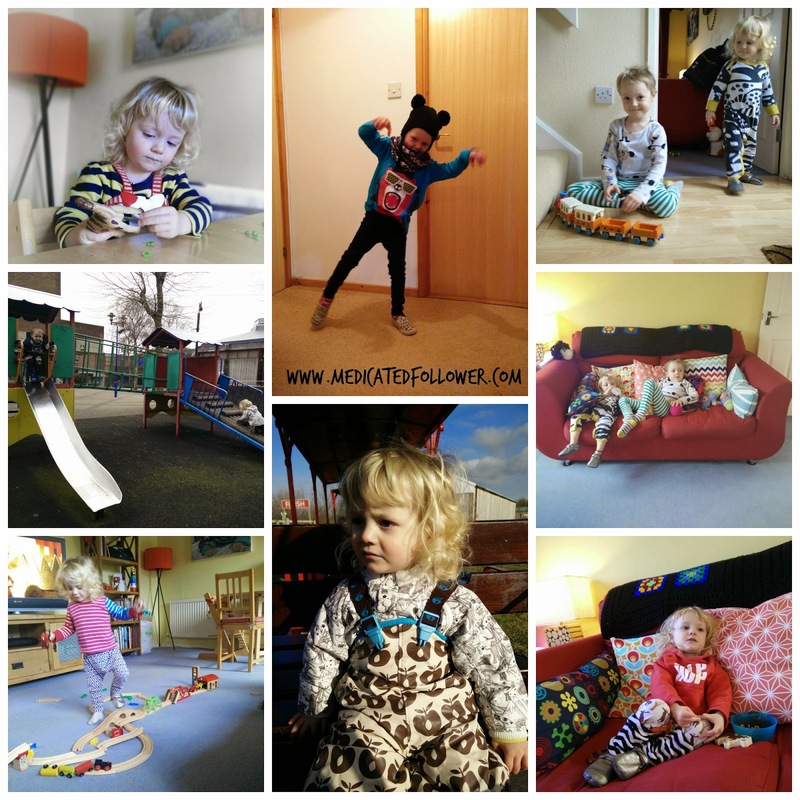 Want to link up your own kids fashion posts? Do so below! Please don't forget to link to me in your post and tweet me so I can retweet your link! If you can, display my badge as well please! VIP? What do I mean? Very Important Pelvic (floor) - that's what I mean! 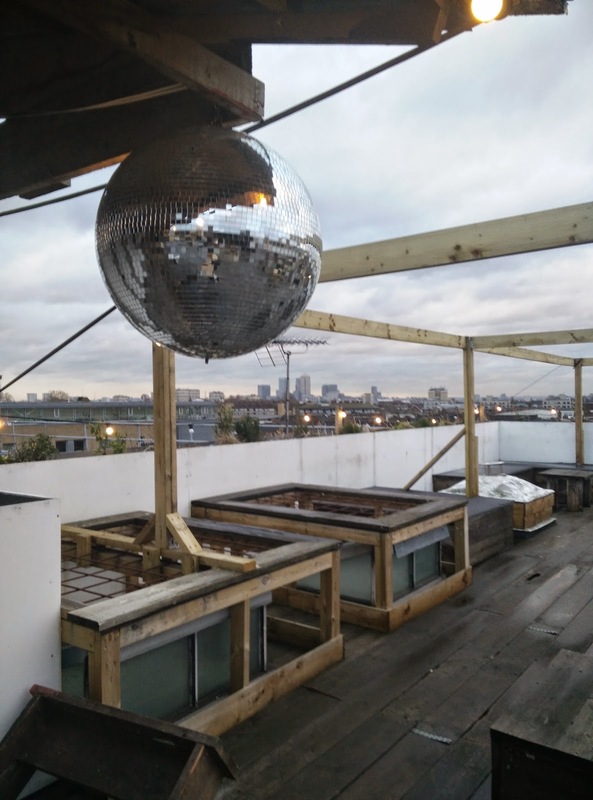 Recently I attended an event in Hackney held by Myriad PR who work for Tena. Most of us have heard of Tena. No doubt we've all had a little chuckle at their adverts. For years we all think "that won't be me!" or at least "wetting myself? That's years off" and away we go merrily about our day. The thing is that it really isn't as far off as we hope - not for many of us! It all goes quite well for most women until they get pregnant and subsequently push a huge baby out. All that pressure on your bladder and pelvic floor when you carry around a baby in your tum and pushing when it comes to birth. It puts a huge strain on the pelvic floor. I didn't realize that 69% of mums experience light bladder weakness. I had no idea it was that high! That's a huge percentage. Think of it for a minute. More than half of Mums have this issue. And yet it just isn't something we really talk about. According to research one in five women would rather go without make up for a week than admit to having bladder weakness. I am going to be truly honest with you here. I have encountered this problem and it's not something I'm really keen to discuss, but if it will help towards breaking the taboo, I will. It's not a problem I have every day or even every week, but from time to time, if I'm already in need of the loo and I sneeze or cough or even laugh hard then sometimes there will be a little leak, I do mean little. The other time I encounter this is when I have my period. I use a mooncup, a menstrual cup which you pop up inside. Because this cup is held up inside, my muscles and pelvic floor are under a bit more strain than usual and it can cause the odd leak of wee. Again, only a tiny bit. Because it's not a huge issue for me, I don't buy any products to help. If it were something that were troubling me more often I would. Something we can all do to help is work on our pelvic floor. When I met up with the Tena team in Hackney we enjoyed a session of HotPod Yoga (yoga in a heated "pod"). Why yoga? Well, yoga is particularly good for pelvic floor exercises. I had great fun doing the yoga session because I love yoga, I've taken quite a few classes before and I'm lucky to be naturally flexible and good at balancing. I enjoy the challenge of yoga! My pelvic floor could do with work though, I will admit that! Tena aren't trying to make money out of more of us by creating a lights range aimed at younger women. They are also trying to help prevent the problem occurring. They have created a free app called My PFF (My Pelvic Floor Fitness). I have actually downloaded this app myself and will be giving it a try. The app acts as a reminder for your pelvic floor exercises. You can set up to 6 reminders each day. You can snooze the reminders if they come up at a time when it's not suitable for you. There is a help and support section and you can even request a free sample of Tena Lights. I thoroughly enjoyed my day trip to Hackney, the challenge of getting myself there using three trains and the tube. I loved meeting the ladies from Myriad who were lovely. The yoga was a pleasant experience and I felt I really learnt something new. No more "little accidents" ladies! Squeeeeeeeeeeeeeeeeeeeeze! 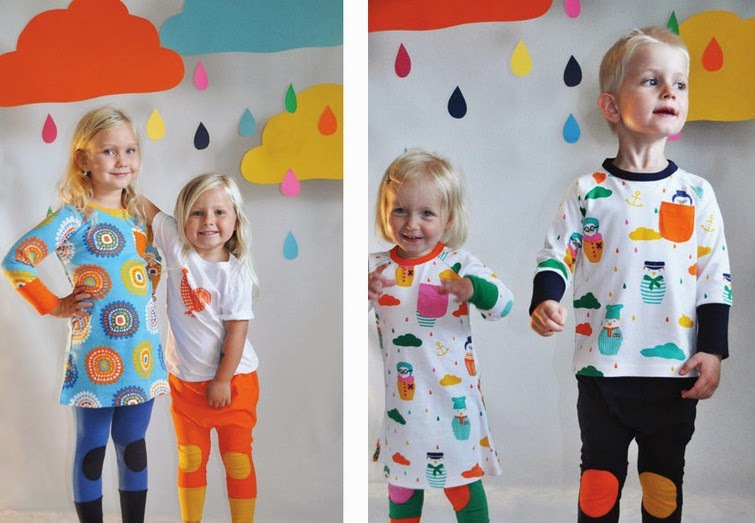 Last week I wrote about Moromini, the new brand being stocked at Funky Little People. 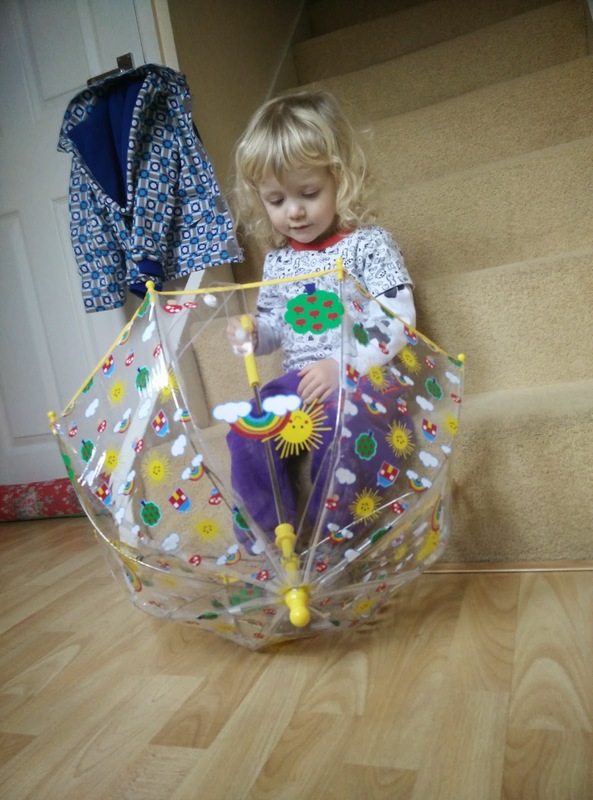 Well, Anna who runs Funky Little People very kindly sent us a couple of items from Moromini and we've been trying them out! Anna sent us a top and a pair of trousers. The top is size 86-92 which is usually said to be 1-2 years and the trousers are 98-104 which is around 3-4 years. Both are a smidge big for Felix just now. Anna feels the trousers are perhaps a little small and the tops come up a bit bigger. I think she's just about right. As Ethan is quite short for his age (well compared to the rest of his school year!) - he's 108 cm, I've tried both items on him and they do fit. 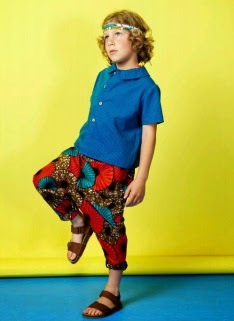 Interestingly it's the trousers that look the smallest on him which is funny because the top is age 1-2!! He's very slim so he can fit into a lot of clothes that are officially "too small". Quite handy really! Ethan told me that the trousers are "really soft and comfy". We both like the slightly baggy, relaxed look of them. A bit like harem pants. I love the statement of the knee patches. The print on the top is adorable. I'm a sucker for anything with raindrops. It's also lovely and soft. Definitely a brand to watch and I'm very glad Anna has got them in stock - once again she proves she has a good eye. Good to know they use organic cotton as well. I should also mention that if you buy any Moromini items this month Anna is offering the chance to win one of their Fair Trade cotton shopping bags! Shipping is free on orders over £50 and Anna always gets them out promptly and nicely packaged. Readers can also benefit from a special 15% off orders as well using the code 15%OFF. 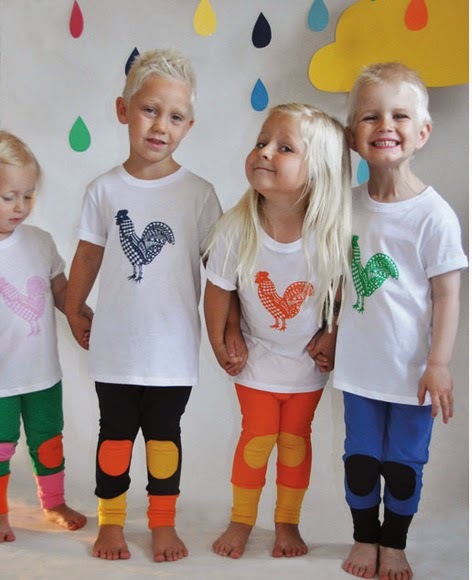 Want to show off your trendy tot? 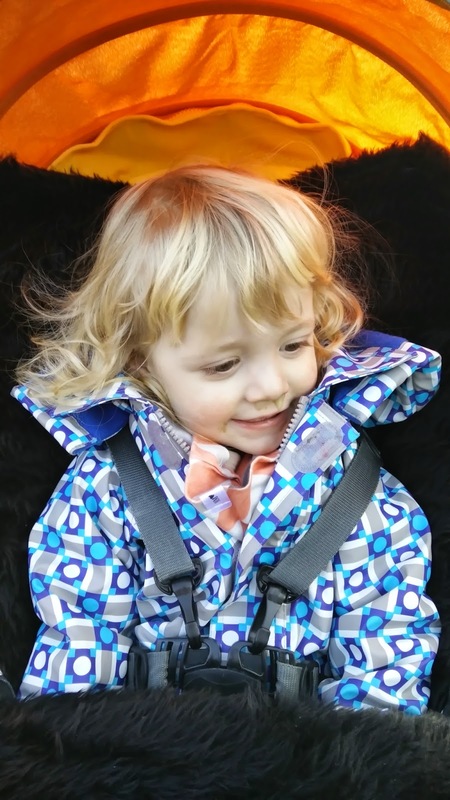 Link up your kids fashion blog posts below! Don't forget to link back to me and comment here and on other linked up posts! 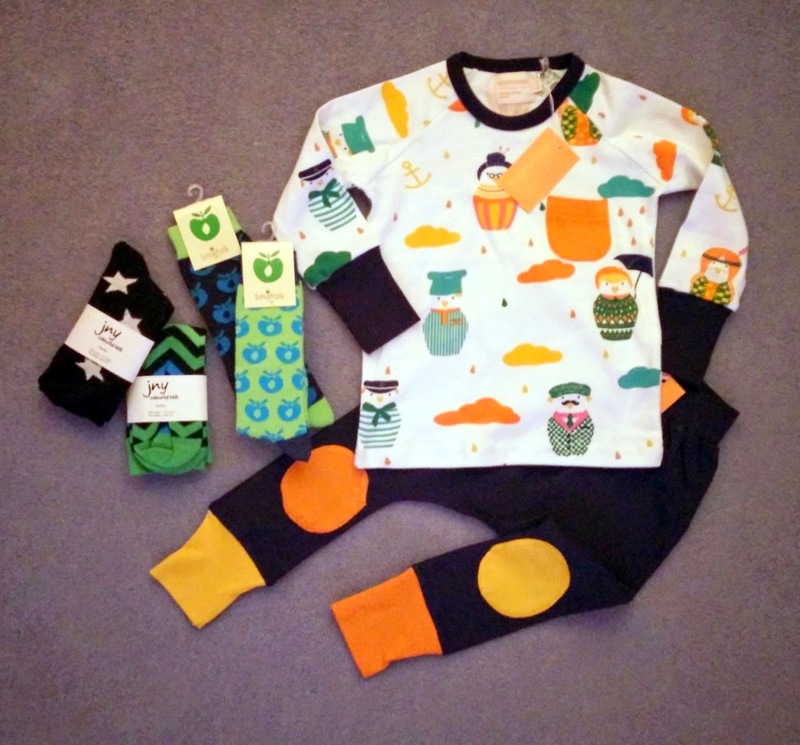 Anna from Funky Little People emailed me earlier this week to let me know about a new brand she has secured. Not sold in the UK before - quite exciting! 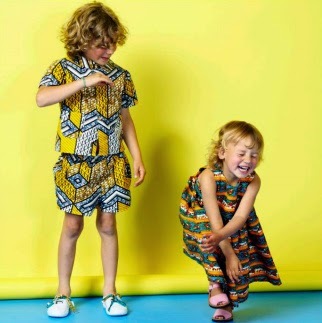 Anna has some stock from Swedish pattern designer Sofia Lindeberg's label Moromini. 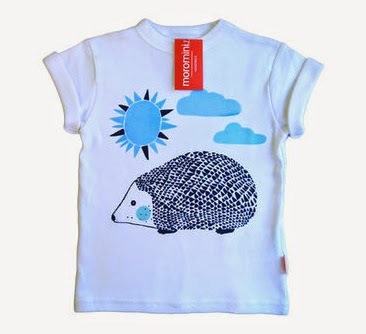 The clothes are made using lovely soft organic cotton (much kinder on the skin and the planet) and some of the clothing is even printed by hand! Just to give you a taster I've included some pictures. The brand is in stock now and prices start from £16.50. There's a very handy shop in our town called Ethel's Case. It's a second hand children's clothing shop (and fancy dress) and I pop in there quite regularly to get a bargain. A little while ago I found a coat in there for Ethan and he's now big enough for it. He's been wearing it for about a week now and it's getting heaps of compliments. Funnily enough it's made by the same brand I wrote about last week, Brights and Stripes. 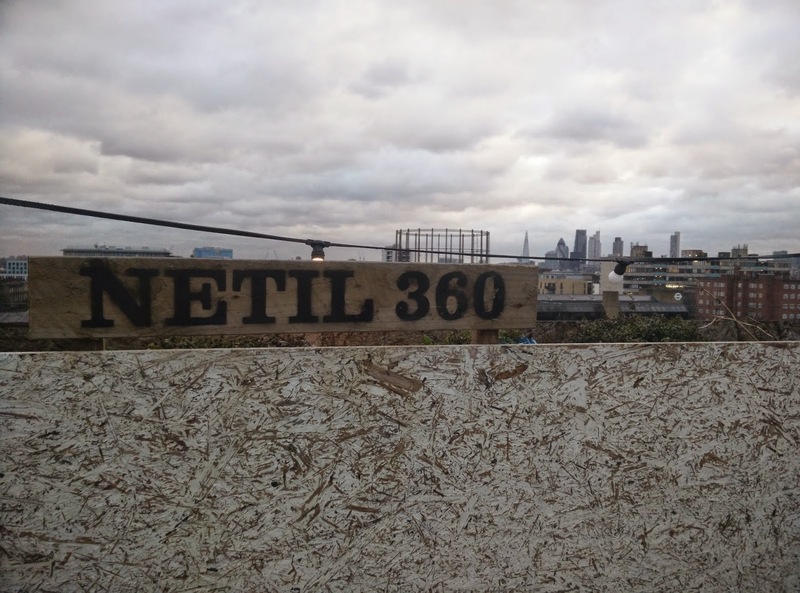 The brand that is no more! Such a shame, there stuff is so cute! Felix loves to get his coat on. If I mention we're going out he goes to the cupboard and tries to get it down chatting to himself "Coat on! Out!". Cutie! 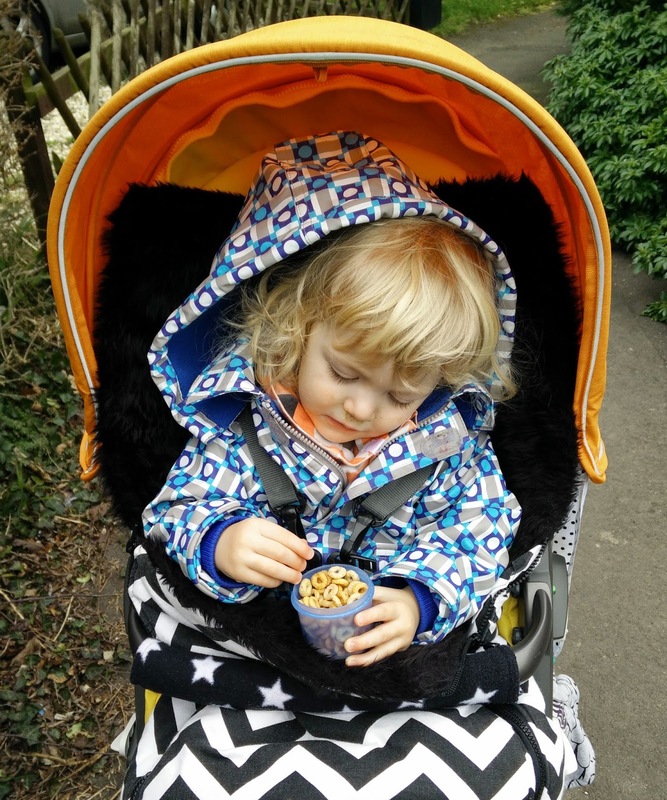 What have your little one's been wearing this week? Link up below! Please don't forget to link to me in your blog posts and comment here. Tweet me your links as well so I can retweet! Oh, one more thing - if anyone is after any shoes, infant 5 (UK) I have some pairs for sale at the moment over on eBay. No bids as yet. Two pairs of converese. Grab a bargain! 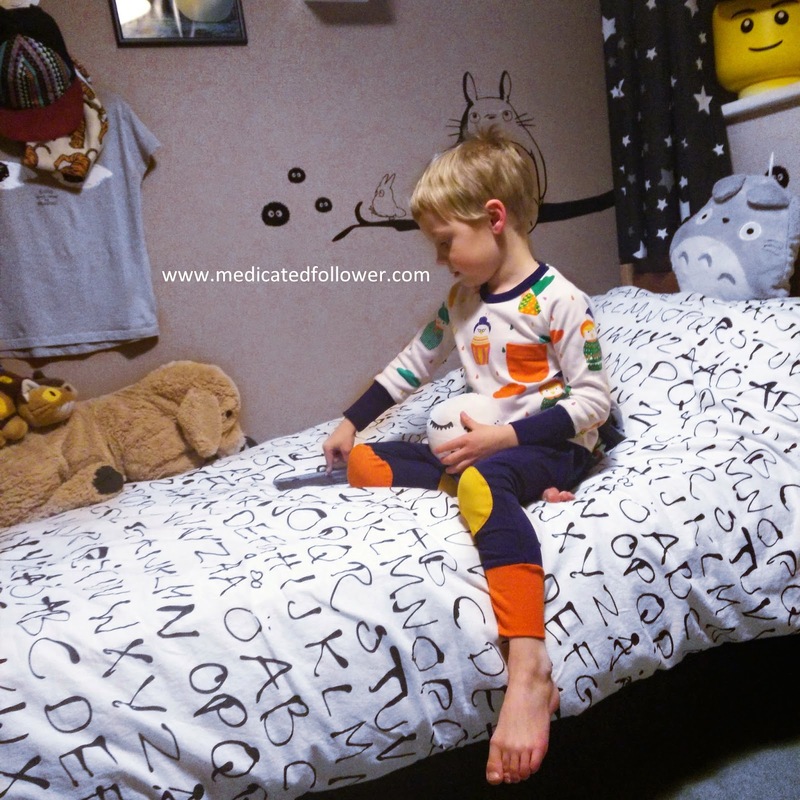 Something I am very keen on for myself and my boys is avoiding as many nasties as possible. One of those nasties is Sodium Laureth Sulphate or SLS. SLS is a surfuctant which means it breaks surface tension allowing better interaction between the product and whatever body part you are using it on (hair, skin etc). It also creates a lather. SLS is found in many products from shampoo to mouthwash to engine de-greaser. Now, many of us use products with SLS in with no issues, however, an increased amount of people suffer from skin complaints such as dry skin, eczema, itchy scalp. If you do suffer with those, it might be a good idea to try and avoid SLS in your products because it can cause irritation. I avoid SLS myself by using shampoo bars, alepo soap, crystal deodorant and mineral makeup. I try to do the same for my boys. 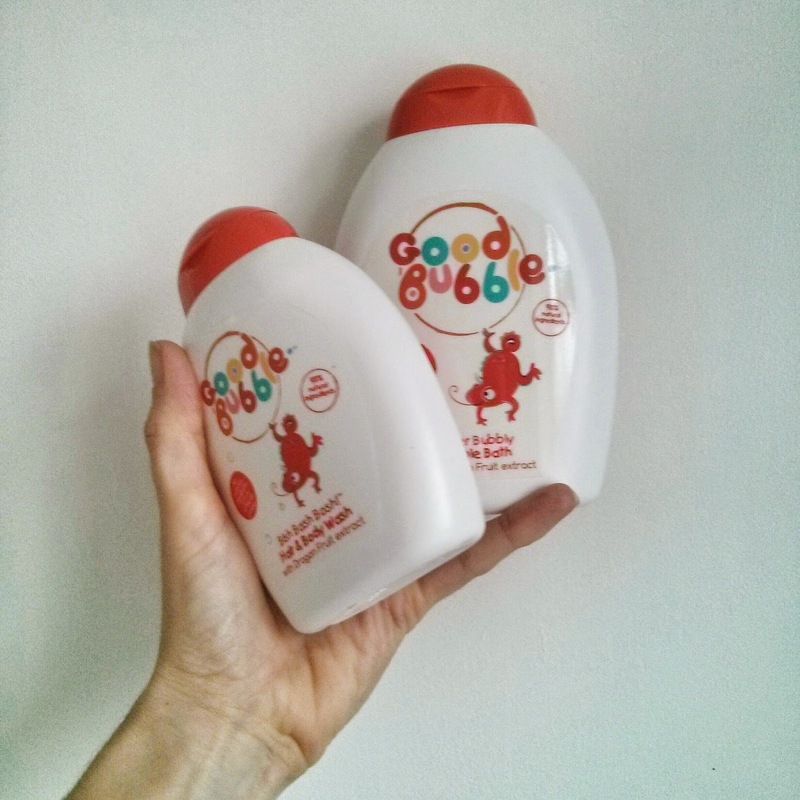 When I was contacted by Good Bubble I was very keen to try out their products. Good Bubble use Sodium Cocoamphoacetate and Disodium Lauryl Sulfosuccinate in their products in place of SLS. Whilst they do the same job they are not found to be irritating to skin and are much more gentle. You can find out more here. Good Bubble products are less likely to be quite so foamy as products with SLS but that's not a bad thing. In recent years we have been programmed to think that lather/bubbles = clean. That is just not true. Good Bubble products are 98% natural and full of antioxidants. They also smell lovely! So, how did they hold up in action? Well, previously I was using Halos & Horns on the boys and I have to say we all much prefer the Good Bubble fragrance. It's much more natural, less chemical smelling. We were given a shampoo and a bubble bath. 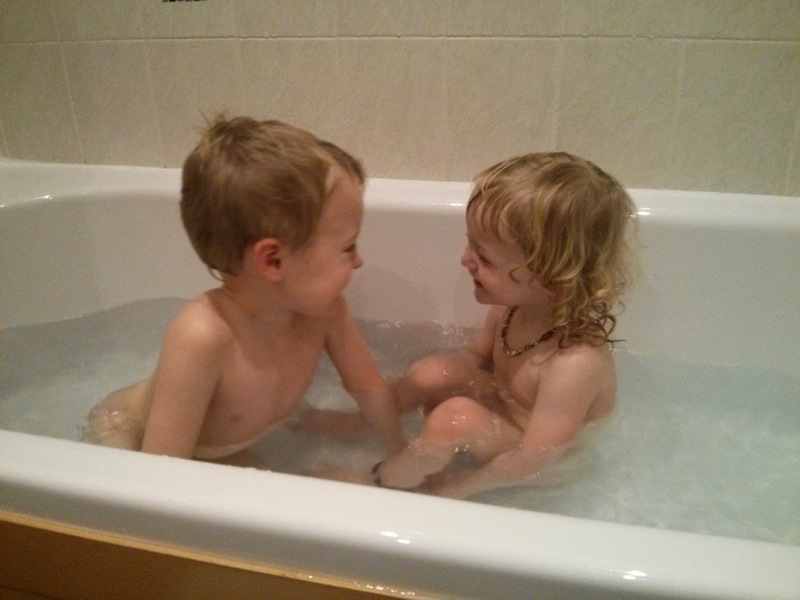 You do get a lather with the shampoo, I find it lathers up just fine. Because you don't get loads of bubbles it actually reduces the risk of bubbles in the eyes! The bath/shower gel does bubble up quite nicely. The bubbles don't last too long but that's mostly because my two use the bubbles up quickly by making beards. Ethan told me he loves the smell. He suffers from patches of dry skin and likes using products which are being gentle. Great thumbs up from us! You can buy Good Bubble products here. Oh man. What a week! We've all been ill all week. At different times, but we've all had this horrible cold/virus/upset stomach. It's been pretty miserable. Ethan has been off school for most of the week. Felix has felt so ill that on Thursday afternoon he didn't move from the sofa. Something that has never happened before in his 20 month existence. Not even when he had chickenpox! As a result, I have very little to share fashion wise this week. I'll just share a few pics of my poorly boys.